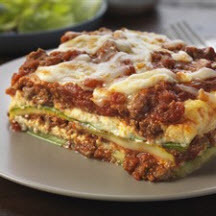 CooksRecipes has quality, kitchen-tested recipes for hamburger casseroles and baked dishes that you can count on for successful deliciousness. 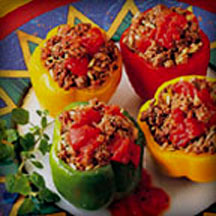 Old fashioned stuffed bell peppers are one of the comfort foods. Sliced zucchini takes the place of lasagna noodles in this gluten-free version of the classic layered Italian dish. It's so good, you won't miss the pasta! 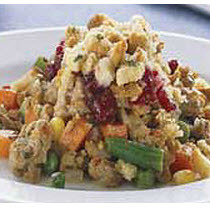 A complete dinner in one dish, this ground turkey and stuffing dish is prepared in a slow-cooker.